If you’re talking to us, we know you’ve invested tens of thousands, hundreds of thousands or even millions of dollars into your Salesforce implementation. You’ve bought licenses for Salesforce and add-on software. You’ve hired a team of expensive professionals to customize your Salesforce Org. And you may have even hired external consultants to run Salesforce projects. You make these investments because Salesforce is the life-force of your business. Your company’s revenue and growth depend on it. Blue Canvas exists to protect that investment and ensure that you are getting the most out of your Salesforce Org and Team. 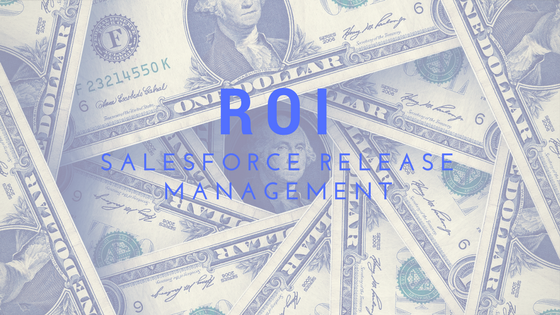 This document outlines a few ways in which Salesforce Release Management with Blue Canvas can save you tens or hundreds of thousands of dollars a year. You can determine the approximate cost of a bug by calculating the cost to your business. Below are some example numbers based on a Sales organizations use of Salesforce. Naturally, there are so many other use cases for Salesforce but this provides a framework for thinking about ROI. Your salespeople are expensive. They live in Salesforce. If Salesforce is down, you’re losing time that they could be using. If Salesforce is down, you are missing out on revenue. A rough estimate yields the amount that your company is losing for every 2 hours that Salesforce is down. For a team with 200 Salesforce licenses and $10M in annual sales, a bug that takes 2 hours to resolve costs at minimum $27,000. For a team with 400 licenses and $40M in annual sales, a 2 hour bug costs $68,000. A bug that lasts for a half day would cost $136,000. Blue Canvas prevents bugs from occurring in your Salesforce org. A single bug in Salesforce can cost tens of thousands of dollars. Blue Canvas makes it easy to code reviews. No change makes it through the system that cannot be seen and easily approved by another developer. You also have more visibility into the system and into who is changing what and when. Blue Canvas allows you to set and enforce permissions about which users are allowed to deploy into which environments. This allows you to lock down your production org and prevent unwanted changes. Blue Canvas provides real-time automated snapshots of changes so you can see what is happening in your Org. If someone makes a change, it’s tracked and versioned so that there are no surprises. Humans make mistakes. Blue Canvas automates the vast majority of the deployment process and prevents bugs from slipping through undetected. We validate your Salesforce code to ensure that it is not going to cause problems, and allow you to more easily see the full list of dependencies that are needed for a change to work smoothly. If a bug somehow does make it into production, having an undo button can also save you from disaster. The Blue Canvas platform makes it easier to recover when bugs do get through. Our platform has minute by minute snapshots that your team can use to rollback unwanted changes. Our Customer Success team is here to help as well for any disasters that happen. You’ve invested in building a staff to maintain Salesforce. Making a small investment into Blue Canvas will empower your team and delight them. They’ll be happier and more likely to stay at your company longer. This can save tens of thousands of dollars in training and recruiting costs. Using the best tools in the industry is a competitive advantage in recruiting, retention and in enabling your Salesforce end users to be at their best.